First we gave an introduction to what Sahaja Yoga is. How are Emotions created in us? If you find yourself being depressed more often than not, constantly doubting yourself and seldom feeling good about who or what you are then it is time to look behind the curtains and find out the reason. Modern marketing is build on keeping us in a state of non-fulfillment where we find ourselves being bombarded non-stop with things which are all targeted to create one desire after the other in us. Emotions are the product of our desires. First a desire is created and out of it we start acting to fulfill our desire. The reaction to both, our desire and actions create the emotions. Let’s say I have a desire for a new car so I start looking (the action) for what car it should be. Then I see different cars and they create an emotion (which most likely was triggered by advertisements in one way or the other). Maybe one car does not feel right, the other car is not hip enough and would give me a feeling of low self-esteem, the car that would make me feel really good (the one where I would look like a movie star in it) is too expensive, so another emotion of frustration, depression and/or anger starts. Then I may set more actions to achieve my fulfillment resulting into more emotions according to the outcome of my actions. And maybe I get the right car and I feel very happy for some time but then I realize that my home is not good enough anymore and I should get a better one. And a new cycle starts. At the end of the day we find out that material desires can never really be fulfilled. If one is satisfied the next one arises and most of the time different desires are acting on us and making us more often than not quite unhappy, because after all we cannot keep pace with the constant suggestions what we should have, what we should be, how we should look like. And the bars are set so high that we never really have a chance to reach them. The best example is when it comes to our looks. Women and men alike suffer from the pressure put on them where the outside becomes more important than the inside. So we end up in this endless loop of trying to reach something on the outside which is made in a way that it actually can never be quite achieved. The end result is a constant deep dissatisfaction with ourselves and with what we have which results in constant negative emotions towards ourselves or others who seem to have what we miss and if worse comes to worse we may give up at one point, without any joy left and become lethargic and depressed. Every emotion creates a physical reaction. Sadness will bring tears to our eyes, depression makes our body lethargic, fear elevates the heart-beat and changes the breathing, the same goes for anger. All these physical reactions are done by the sympathetic nervous-system. This is the part of the nervous system responsible for our fight or flight reaction but also to keep the homeostasis in our body, the balance. To calm down and relax is the job of the parasympathetic nervous-system. In Sahaja Yoga-terms the left and right sympathetic nervous-system relates to the left and right channel, marked in the chart below as a blue and yellow line. The parasympathetic nervous-system relates to the center channel, the white line. To be in control of our emotional and physical activities of our left and right side we need to turn to the center channel where we find our inner peace. If we are in the center we are in control of our emotions and actions. Not only that, in the center we understand the beauty of benevolent desires and actions towards ourselves and others. Activity! To correct a weak left side we have to balance it with the right side. This means activity which develops the ego and pushes the over developed superego back to the central area of the head. So we put more attention outside, on work and action. Discarding all ideas of self-destruction and self-pity we materialize the emotional side which is attuned to our sustenance. By using the neglected right side we bring the left into balance with the rest of the being. Meditation, Meditation, Meditation! And some simple clearing techniques. Introspection: it helps to look inside and see what is the desire behind the emotion. If it creates a negative emotion in me it is worth giving up or transform it into a benevolent desire which brings benevolent emotions towards yourself and others. 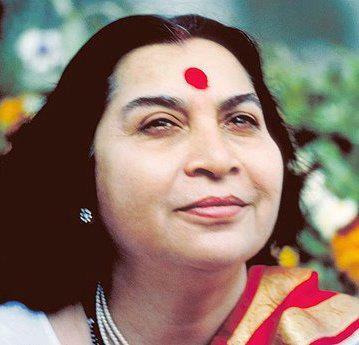 Meditation led by Shri Mataji to awaken the Kundalini, the Inner Energy. This is important because it gives you the connection with the Divine and only then can this Divine power flow into your inner system and help you to clear and bring it into a balance. Meditations to clear both the left and right side. Both have to be addressed because they are so closely linked to each other.